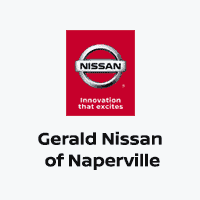 The Gerald Nissan of Naperville car payment calculator lets you quickly and easily calculate your auto loan rate or monthly car lease payments to budget for your day-to-day life in Naperville or Plainfield. Determine your purchase price for your Nissan Altima or Nissan Rogue by just inputting a few numbers. Pre-owned vehicle pricing includes all offers and incentives. Tax, Title and Tags not included in vehicle prices shown and must be paid by the purchaser. While great effort is made to ensure the accuracy of the information on this site, errors do occur so please verify information with a customer service rep. This is easily done by calling us at (630) 355-3337 or by visiting us at the dealership. Questions About Your Car Loan Estimate? If you’ve got questions about your car loan estimate, our finance team can help. Contact us today to learn more about your finance and lease options, and don’t forget that we have a selection of used cars priced under $10,000 so you can find one that fits your budget.